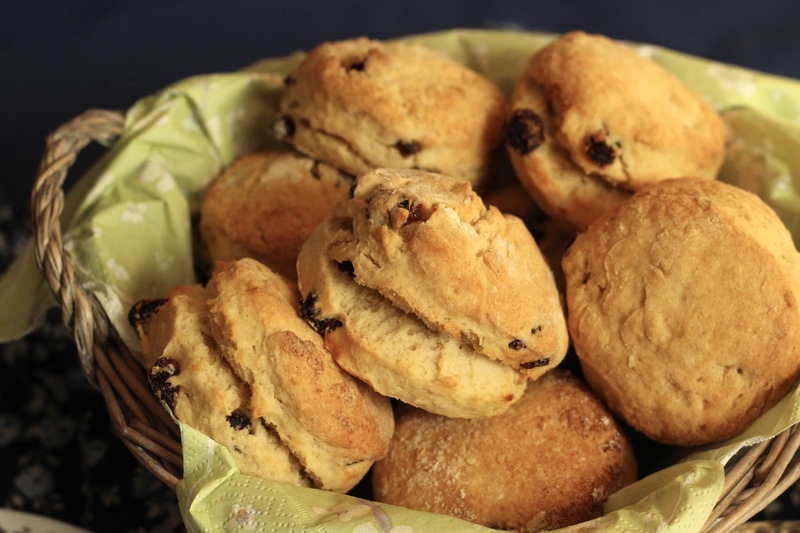 Makes 10 – 12 mini scones (enough for breakfast for 4 people). Takes 20 minutes plus baking and cooling time. 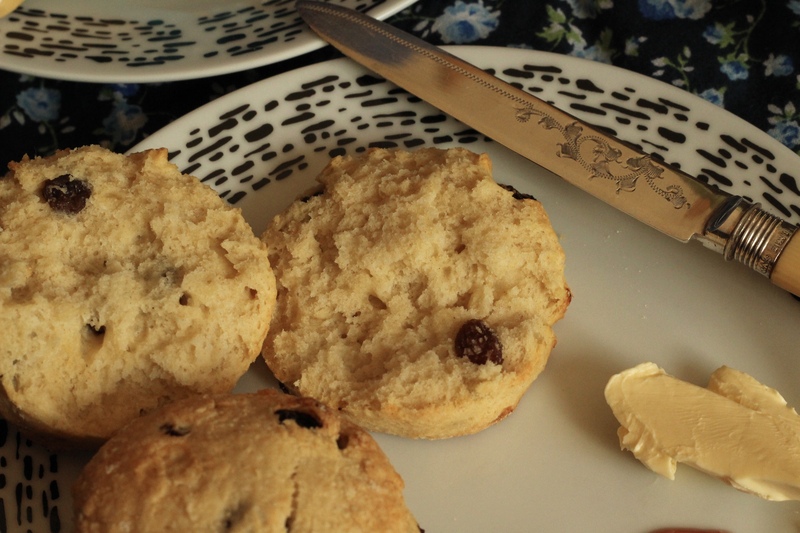 Preheat the oven to 220 degrees and line a baking tray with greaseproof paper. 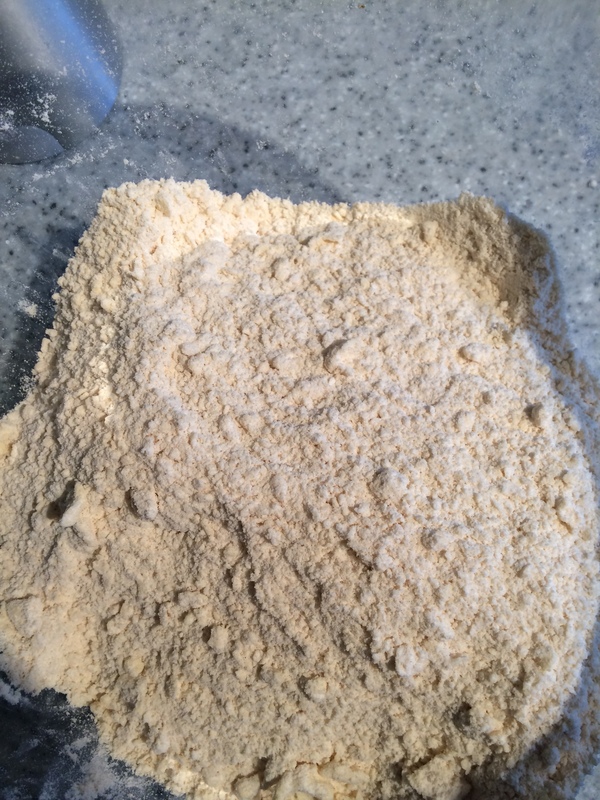 Add the flour, sugar and butter to a large bowl, and rub the butter into the flour until it resembles breadcrumbs. Stir in the sultanas. Make a well in the centre, and pour in the eggs and 3 tbsp of milk. 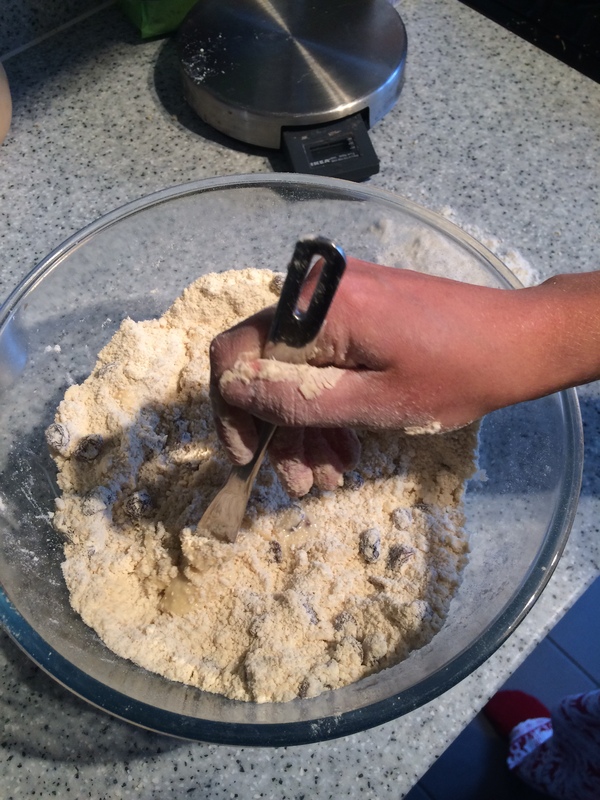 Using the handle of a table knife, mix the dough together as much as possible, using your hands to finish it off. The dough should just come together but not be too sticky – if it’s too dry add a dribble of milk at a time – if it’s too sticky, add a bit more flour. Flour the work surface, tip out the dough and flatten using your hands to about 4 – 5 cm thick. 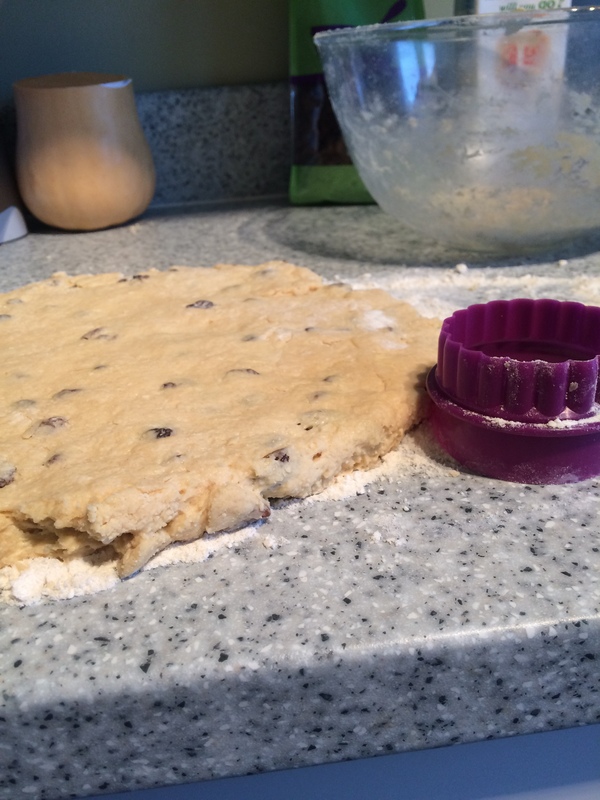 Using a medium size round cutter (about 6cm in diameter) cut out the scones. 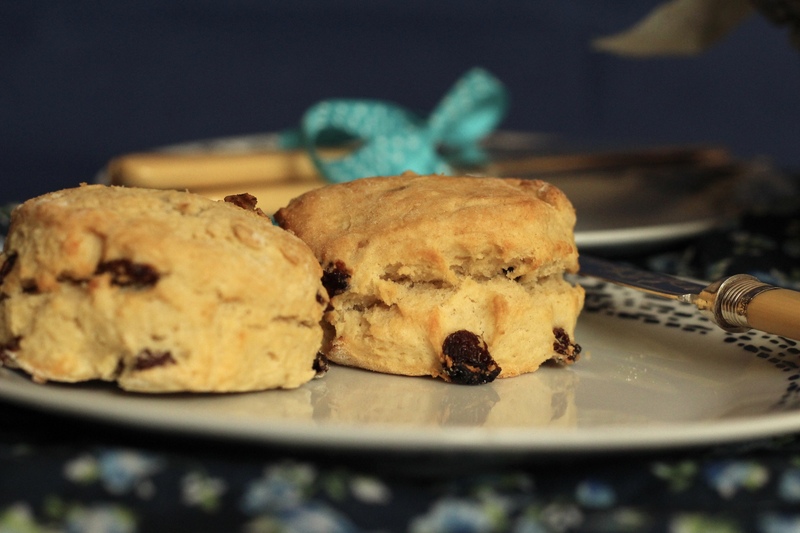 Lightly knead the remaining dough and cut out more scones – repeat until all the dough is used. 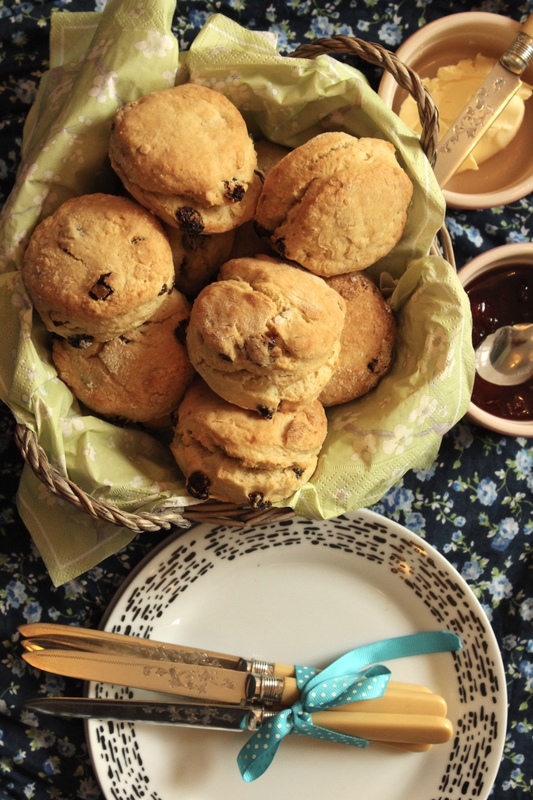 Place the scones on the baking tray and bake for 10 – 12 minutes until risen and golden. 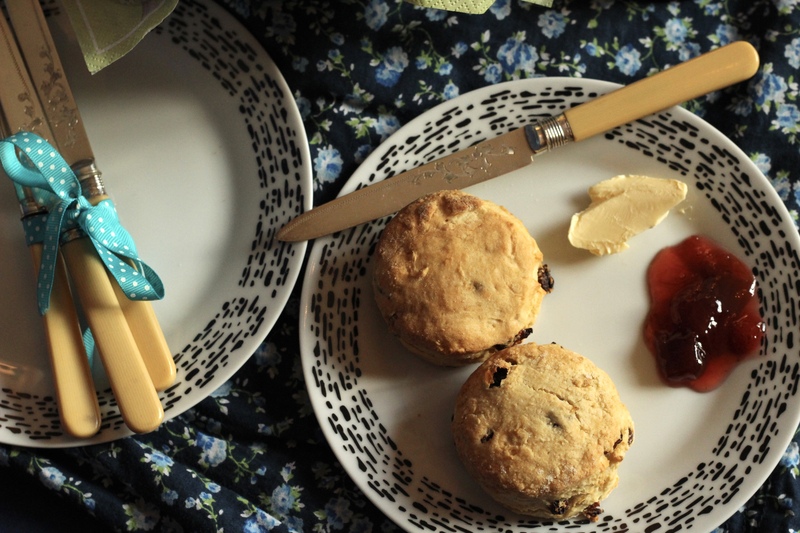 Leave to cool on a wire rack for 10 minutes, then serve with some butter and jam. Excellent recipe! 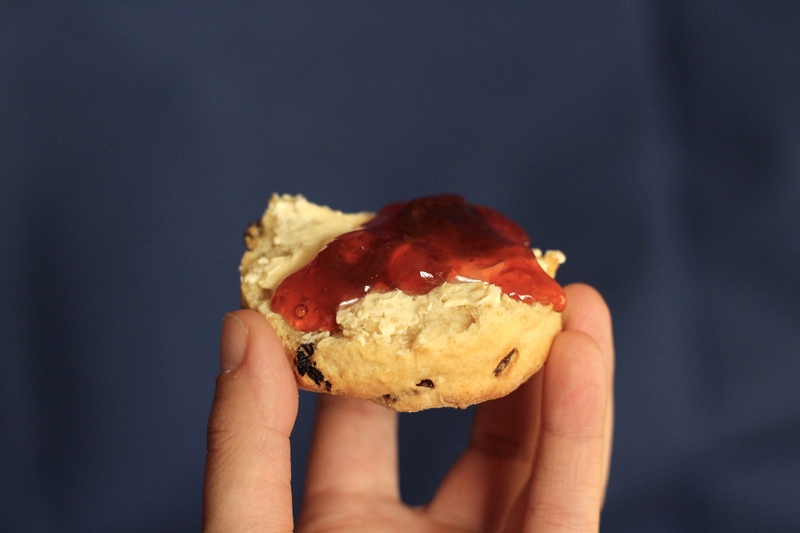 I’m currently tucking into a couple of tester scones, very light and just the right level of crumbliness. I don’t normally follow a dairy free diet but I still think these have a great flavour. I did add a pinch of salt to help perk it up a little and I used Pure and Oatly as the dairy substitutes. 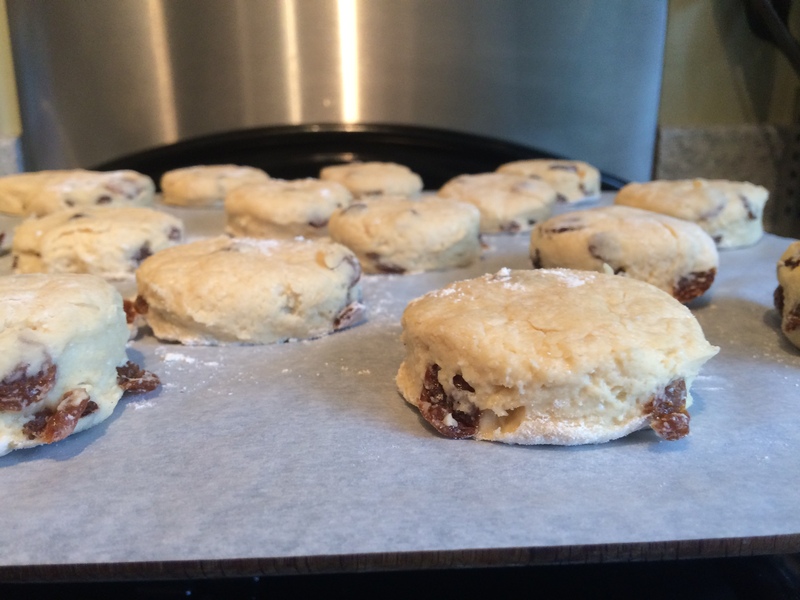 I’ve frozen the majority of the scones in their raw (cut out) state ahead of a visit from friends with a lactose intolerance. Hopefully they’ll bake up just as well from slightly defrosted.